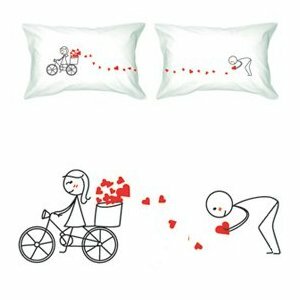 Whether for Valentines Day or better again any day the slush puppy in me finds these “Say I Love You” Couple Pillowcases by Boldloft, totally irrestible. The decorative motif manages to be modern and oh soooo cute at the same time. The perfect gift for Valentines, anniversaries, birthdays, or just because (yes for any men out there you get extra brownie points for “just because” romantic gifts! ).